Payment Options - Iteam Resources Inc.
All of our payment technologies equipment are warrantied from purchase and yearly Hardware Support programs may be purchased to ensure the equipment operates efficiently well into the future. 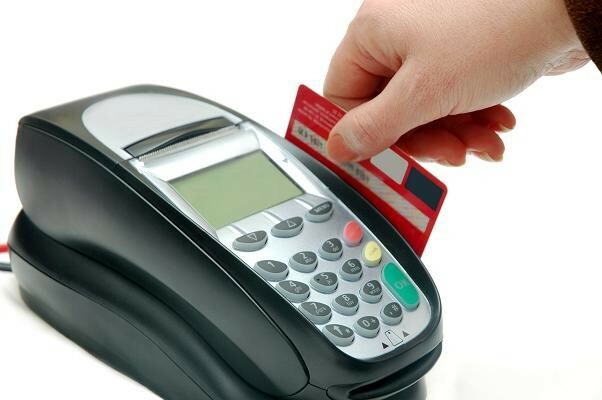 Smart Card Systems – a wide range of equipment is available including the latest technology for converting magnetic card equipment to smart card without having to replace the reader. 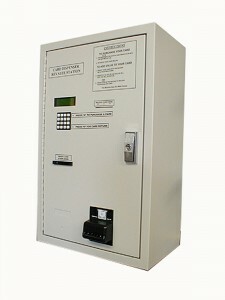 This is the most secure and robust system on the market today. Smart/Magnetic Card Systems – This system allows customers to use their existing magnetic cards with a magnetic card reader that can be converted to smart card without having to buy new readers. Ideal in environments that need the ability to expand into smart card technology without having to change equipment. 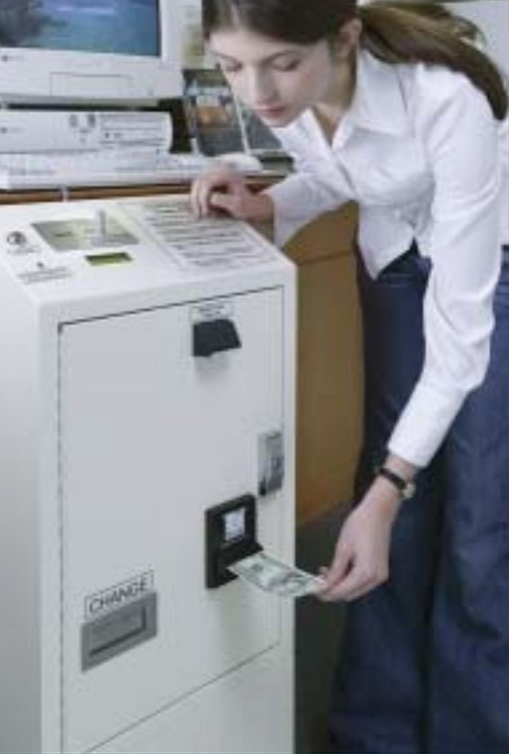 Magnetic Card Systems – options range from a basic cost recovery system to a complete cash card system designed to be totally self-serve and cash-free. 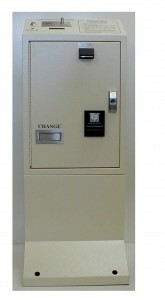 Includes card readers, revaluing stations, card dispensers, mini-tills and much more. 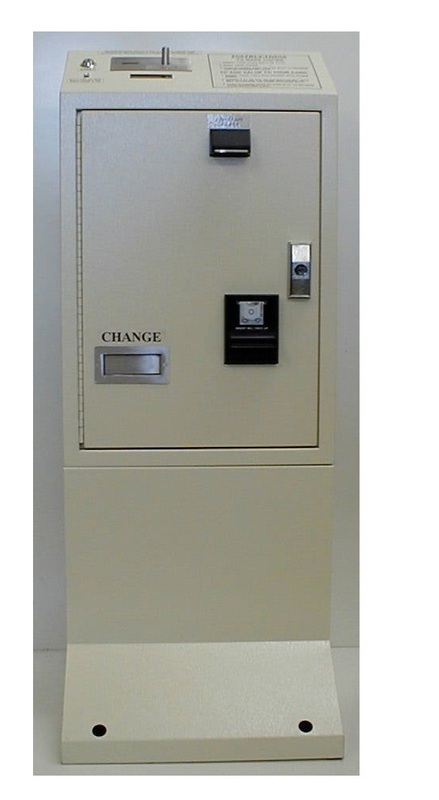 Currency Based/Access Control Systems – Top of the line payment towers that accept all denominations of coins and $1, $2, $5, and $10 bills. Pricing may be set in increments of $.05 and change is made. limititations may also be set as to the highest Bill accepted by the payment tower therefore reducing the possibility of emptying the coin change tubes during operation. 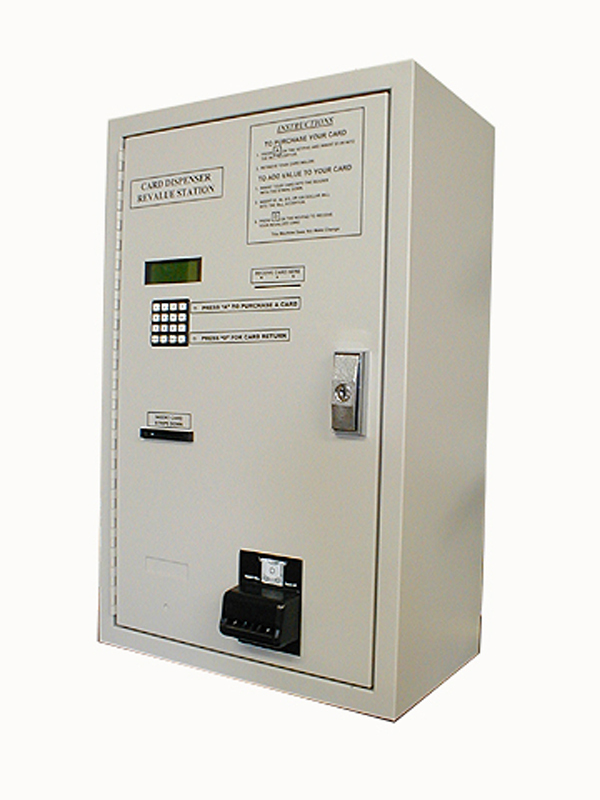 *Our payment towers can also be used with serial interfaces or pulse interfaces for attachment to copiers, microfiche readers/printers, or any device requiring a pulse interface. Combo Systems – Combine our Smart or Magnetic card solution with any of our Payment Towers and meet the requirements of everyone. 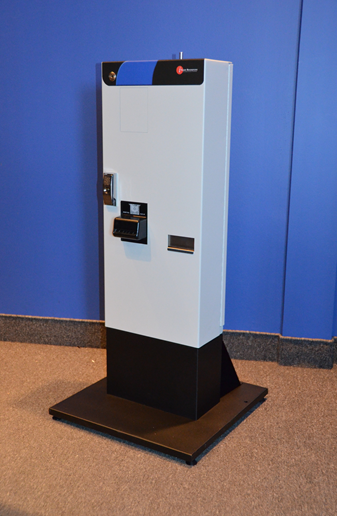 These Combo Towers accept Smart or Magnetic cards, as well as all denominations of coins and $1, $5 bills for payment. Value may also be added to any card with coin and bills up to $20. Declining Account Balance – A cash balance is retained on a database and used by the Quest Suite system to pay for print and Fees and Fines. The account balance mode can be implemented at both the client PC as well as the Print Release Station. The patron has the ability to pay for each print job at the client PC using the online balance or to pay for selected print jobs at the print release station. A unique feature of the Quest Suite is that a patron can use either the online balance or cash card payment device simultaneously. Using the Quest database option, the patron accounts can be setup to automatically generate free pages by patron on a daily, weekly, bi-weekly, monthly, quarterly, bi-annual, or annual basis. Magnetic Strip Card – combination of ISO and ABA magnetic stripes of high-level coercivity to allow customers to identify their students, offer various on-line programs, and perform small value transactions at printers, etc., by placing monetary value on the card. Smart Chip Card – computer chip is embedded in a plastic card to store data as digital cash and patron demographic information. Photo ID/Student ID Card – identifies the user as the cardholder. The card consists of photographic image, bar code, and magnetic stripe or smart chip for services, and signature panel. Ideal in an environment requiring one card to do it all. Library “Combination” Card – a pre-printed card with bar code on the front and magnetic stripe on the back. Signature panel is also available. The perfect card for both a borrower card and service card. Custom Card – customized card includes library logo with one or more colors and magnetic stripe. iTeam Stock Cash Card – includes magnetic stripe or smart chip. Key Fobs/Tags – includes one or more colors, logo and bar code. If you don’t see the device you are using on the above list, please contact us as we will gladly work with you and your device manufacturer to incorporate it into our solutions.